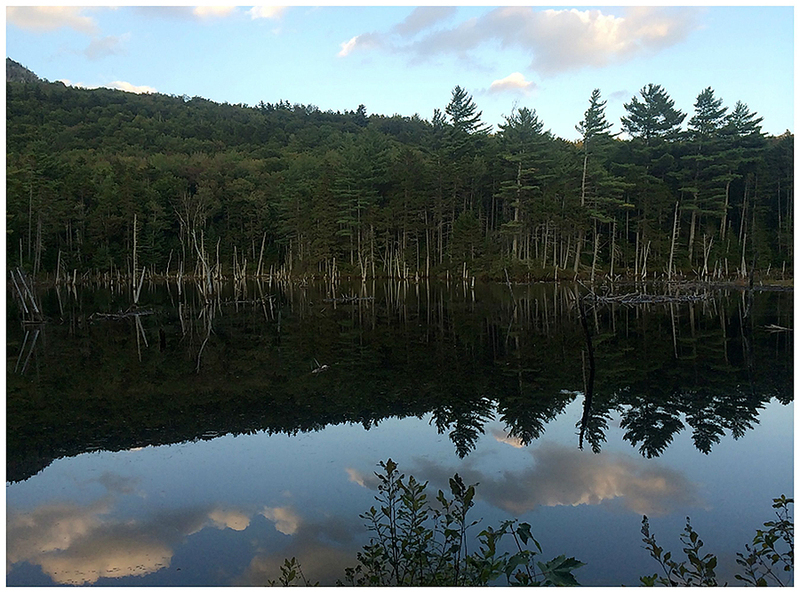 - September usually brings in cool crisp temperatures which is perfect for hiking, unfortunately summer didn't get the memo as a nasty heat wave came moseying on through New England Labor Day weekend. 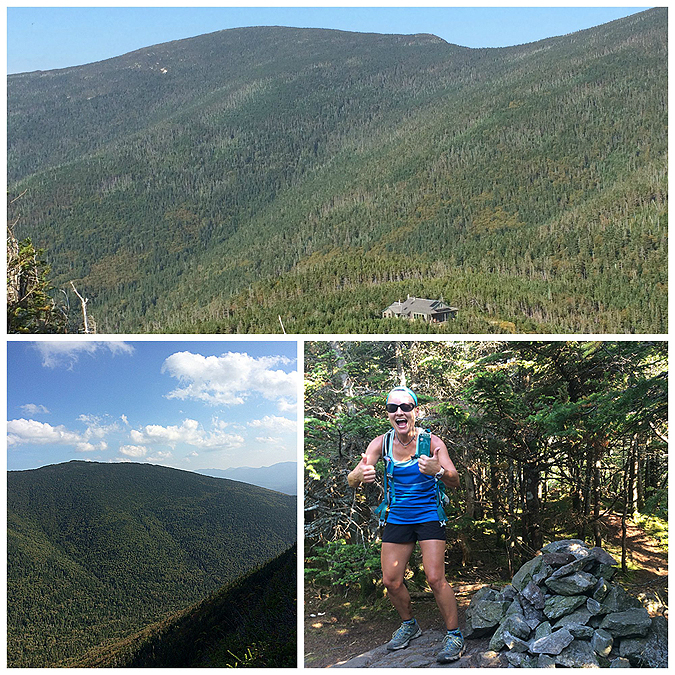 Whitney and I decided to take the sticky and humid weather straight on by heading to two of the lesser popular mountains in the Pemi Wilderness, Galehead, which is about as exciting as a lump of coal on Christmas, and Owl's Head, which most hikers talk about unfavorably. I share the same sentiment for Galehead but Owlie I love because of its remoteness and logging history. - Both of us had a goal for the day, Whitney would be working on new red-lines, hiking on the Lincoln Brook Trail past Owl's Head Path for the first time (3.5 miles), the Franconia Brook Trail past the Lincoln Brook Trail junction all the way up to the Garfield Ridge Trail (5.7 miles ), and the Twin Brook Trail (2.4 miles). 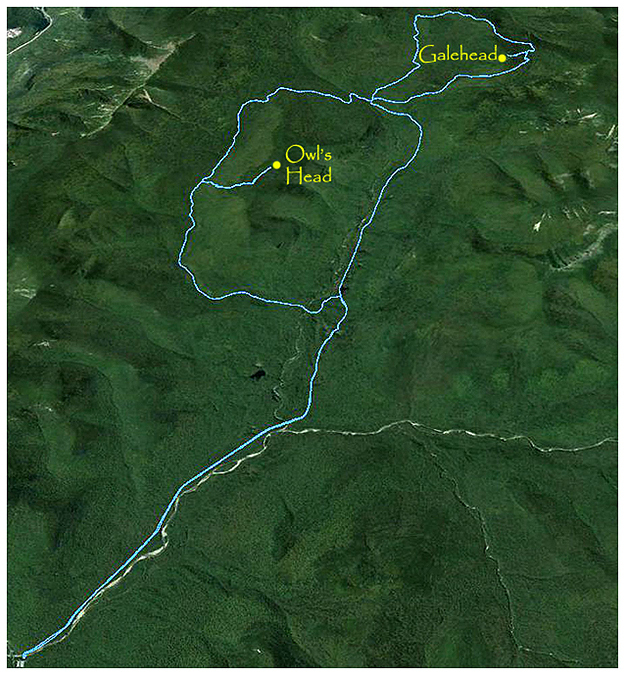 For me it would be the first time I would be hiking Galehead in the month of September, so it would go towards a grid peak, Owl's Head I had hiked before in September but I like it and it would make the September 'grid' hike of Galehead much more adventurous than the usual out and back from Gale River Road. - We got an early start to beat the crowds as we headed towards the wilderness boundary. It was a really relaxing walk and it wasn't too hot yet so it was enjoyable as we made our way to the wilderness boundary. 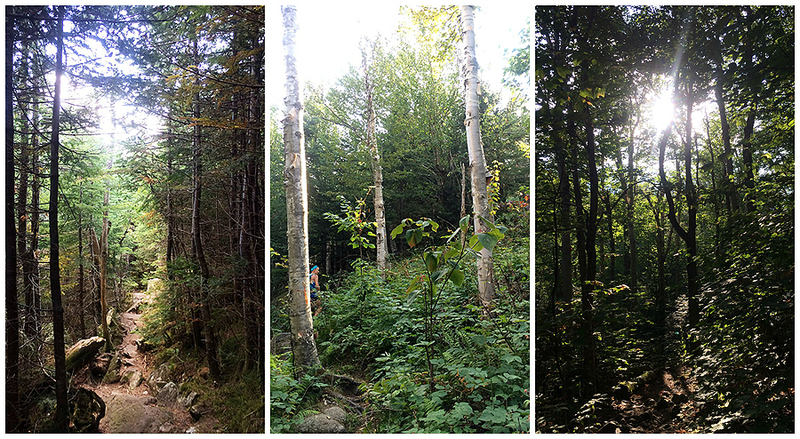 When we reached the boundary we banged a left onto the Franconia Brook Trail and headed towards Owl's Head. 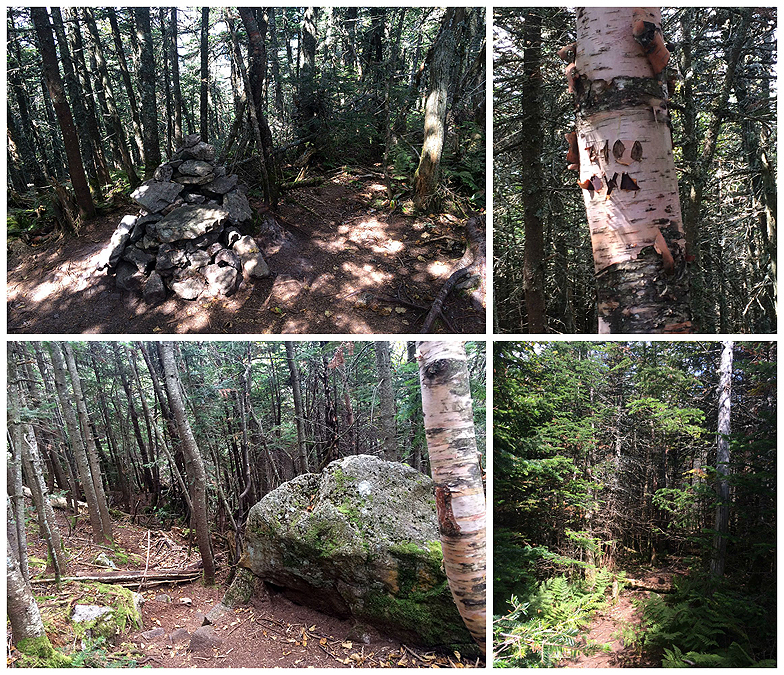 We started to run into backpackers heading out from spending a few days in the woods, most probably stayed at Thirteen Falls Campsite, but a few probably found even quieter spots off trail. 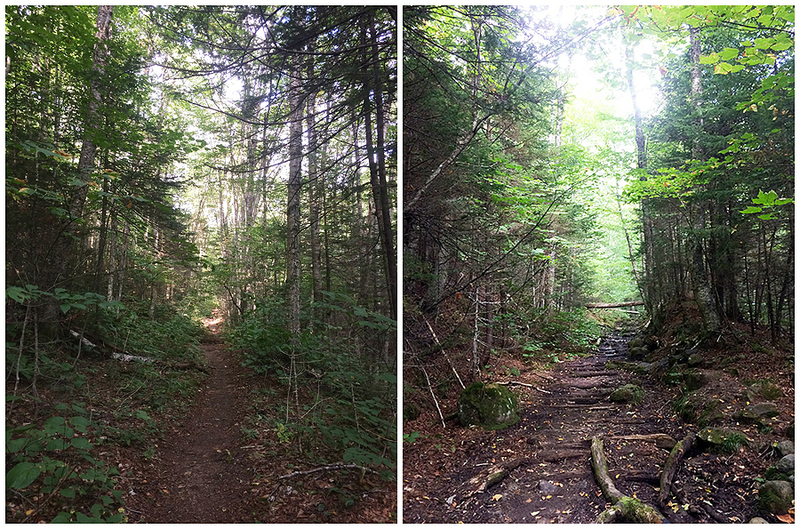 After hiking almost two miles on the Franconia Brook Trail we hooked onto the Lincoln Brook Trail and started to circumvent below the lump that is Owl's Head. 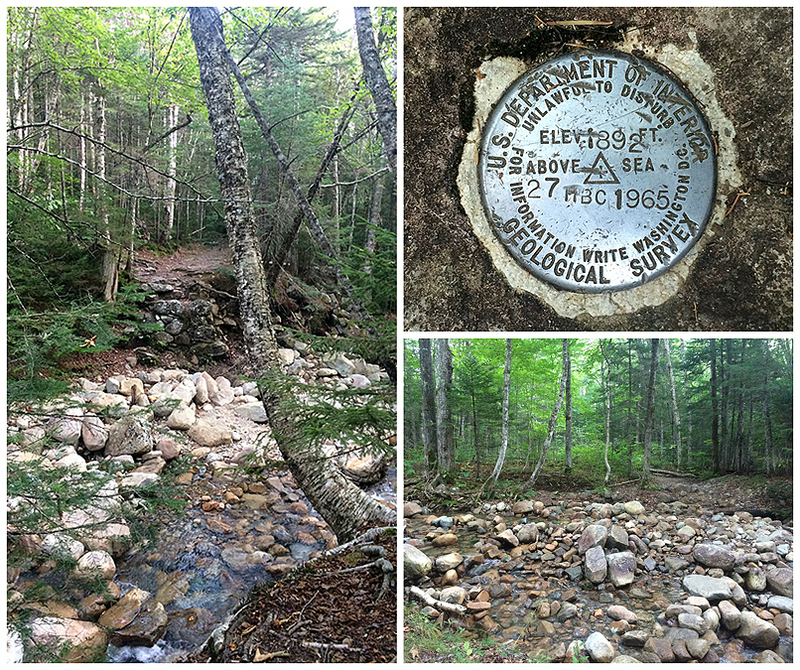 - Lincoln Brook Trail has a reputation of tricky, hazardous, and sometimes dangerous water crossings. 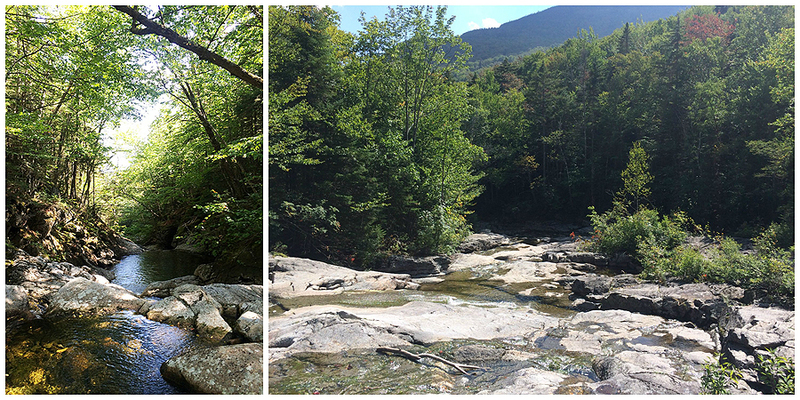 Quite a few hikers bypass the first two crossings, which are the largest, by bushwhacking from the Black Pond or Franconia Falls trails. I do this only in the winter and early spring, otherwise the crossings are fun unless there has been heavy rain. Usually I can rock hop across with care or end up just getting the tops of my trail runners wet. On Monday the crossings were the lowest I had ever seen them because of the lack of rain over the past few weeks. 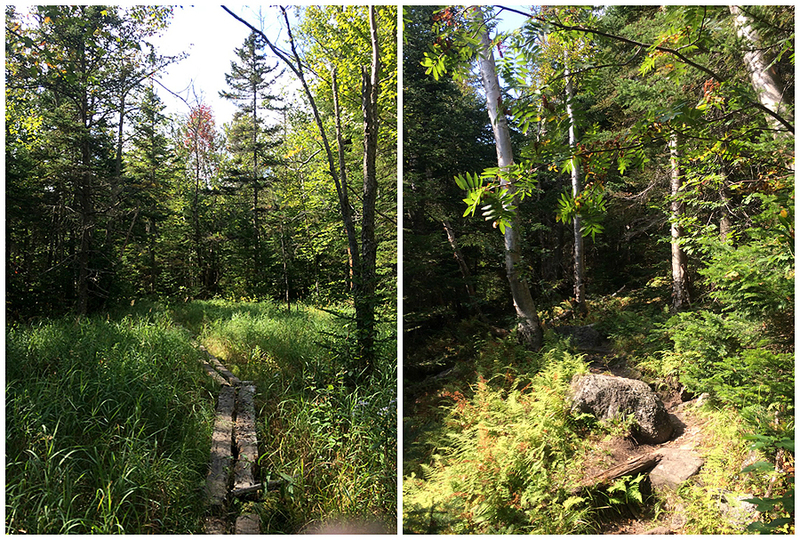 - After the the two big crossings there are a couple of smaller ones before the trail reaches the Owl's Head Path. 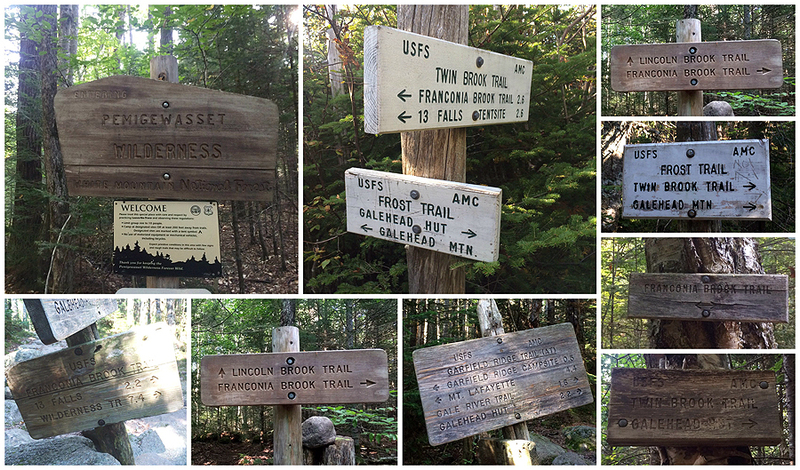 We had already hiked eight miles during the morning, but it was an easy eight miles over the old railroad grades. 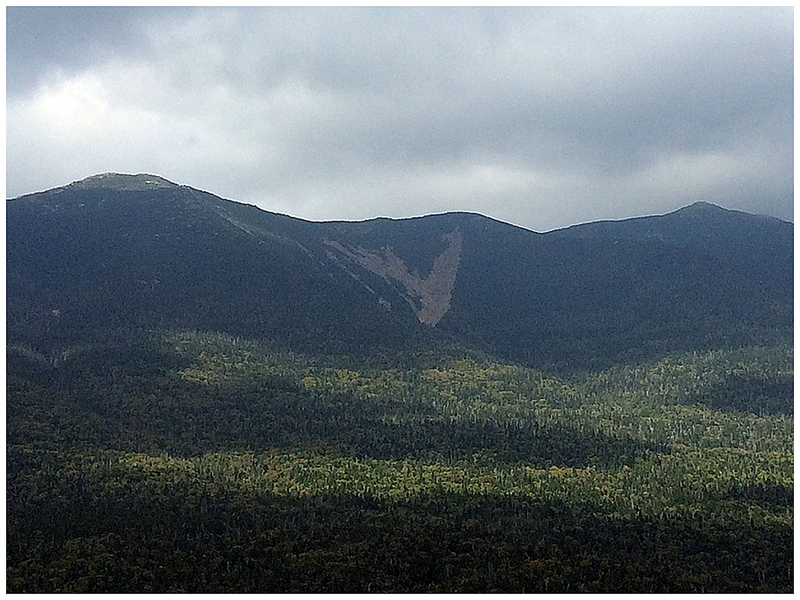 Now it was time to shoot straight up over Owl's Head Slide and eventually to the top of Owlie and its wooded summit. 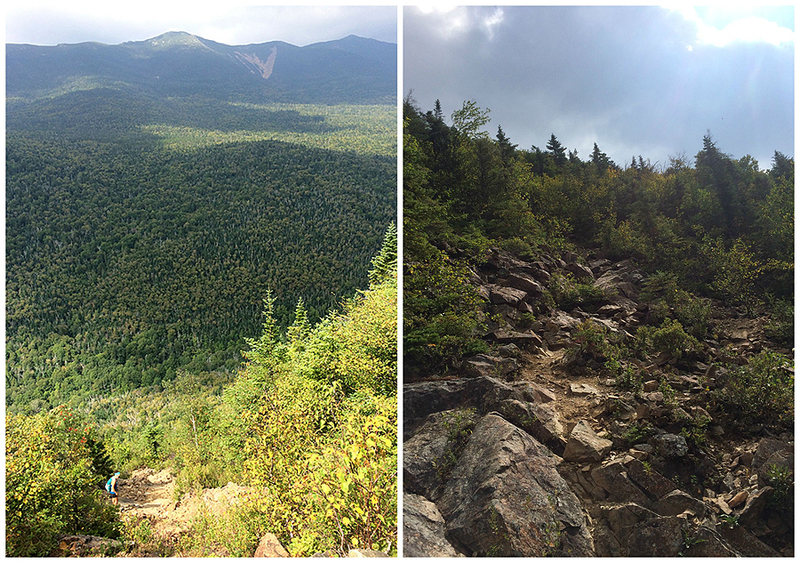 - The Slide is the best part of this hike, it's short but very steep. The bottom part is made up of very loose rocks and gravel, while the rest of it is ledgey rock some solid, some brittle. 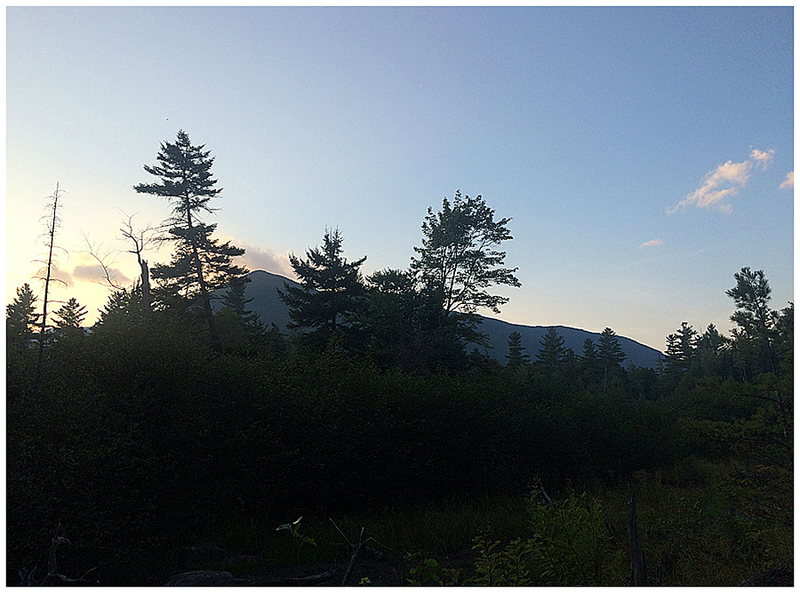 Views from the middle and upper part of the slide are great, you get a sweet view of Franconia Ridge and the behemoth that is the Lincoln Slide which drops from Franconia Ridge into the Pemi Wilderness. - After awhile we made our way to the summit where we took a break before backtracking down the slide. The slide which is slow-going going up is even slower-going going down, this is a good thing because it makes you stop to look up and take in the views one last time before heading back into the woods. 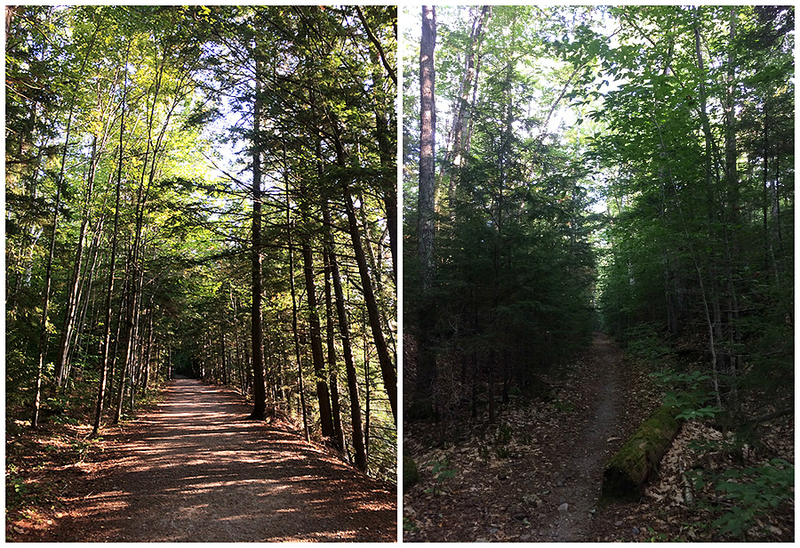 - Next up we headed to Thirteen Falls over the very lightly traveled northern section of the Lincoln Brook Trail. It used to be overgrown and muddy but over the past few years the narrow sections have been trimmed back and the awful mud spots have been fixed up or slightly re-routed. 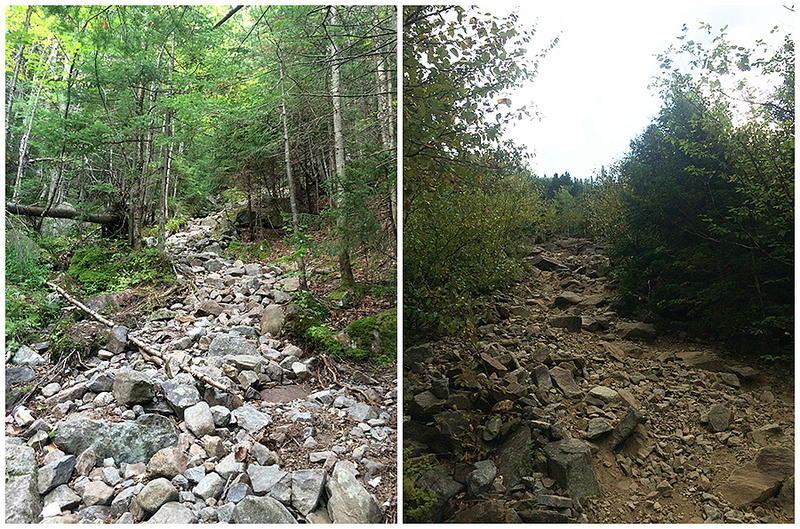 Hikers constantly worry that this section of the Lincoln Brook Trail is hard to stay on but it real isn't. 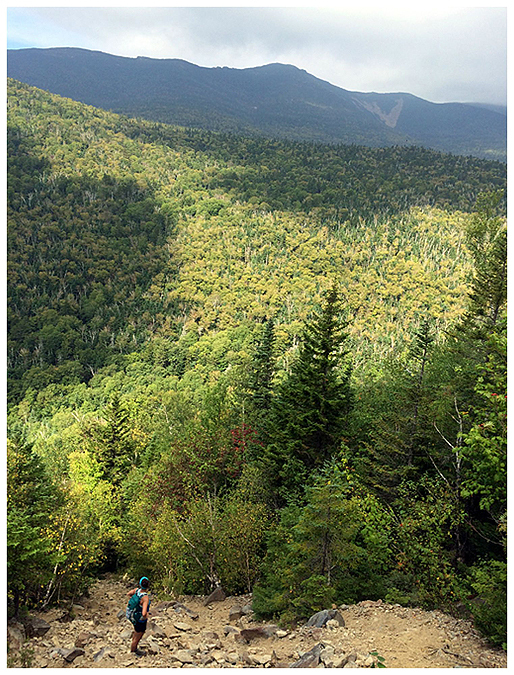 The only spot which could be tricky is just past the Owl's Head Path junction, the trail heads uphill to the right for a hundred feet through a tiny rocky old drainage steps before heading left and leveling out again. Other than that the trail corridor is well defined enough that unless you are not paying attention it's easy to travel. 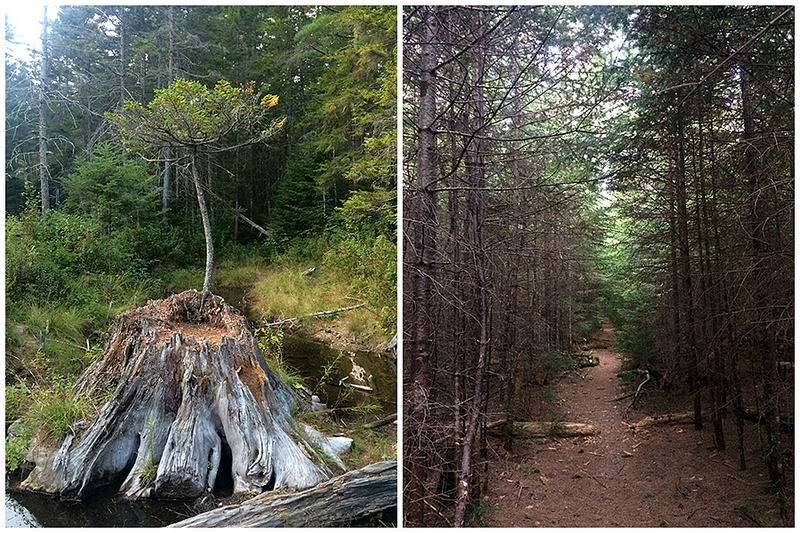 - The trail heads up to a height of land before gradually descending to Thirteen Falls. 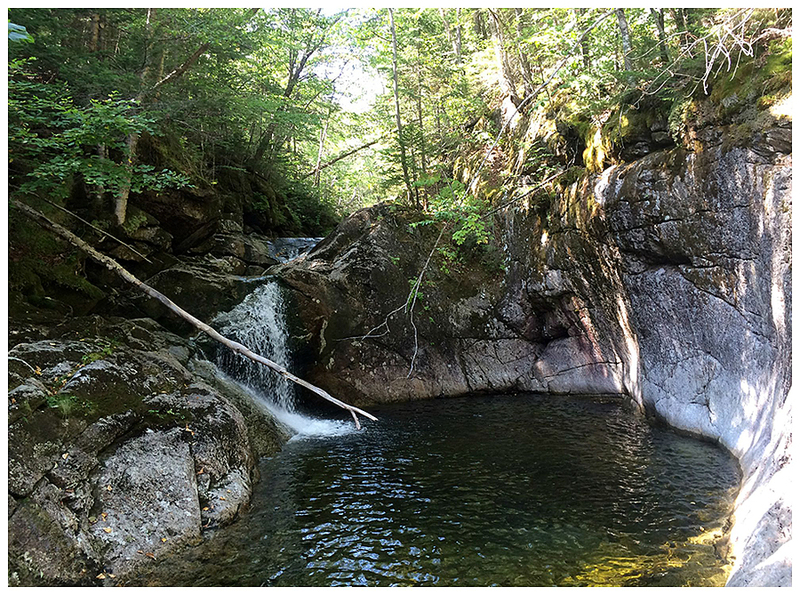 There are a few beautiful swimming holes over the last quarter of a mile of the Lincoln Brook Trail at Thirteen Falls. If you look close enough you can even see fish in some of the pools. 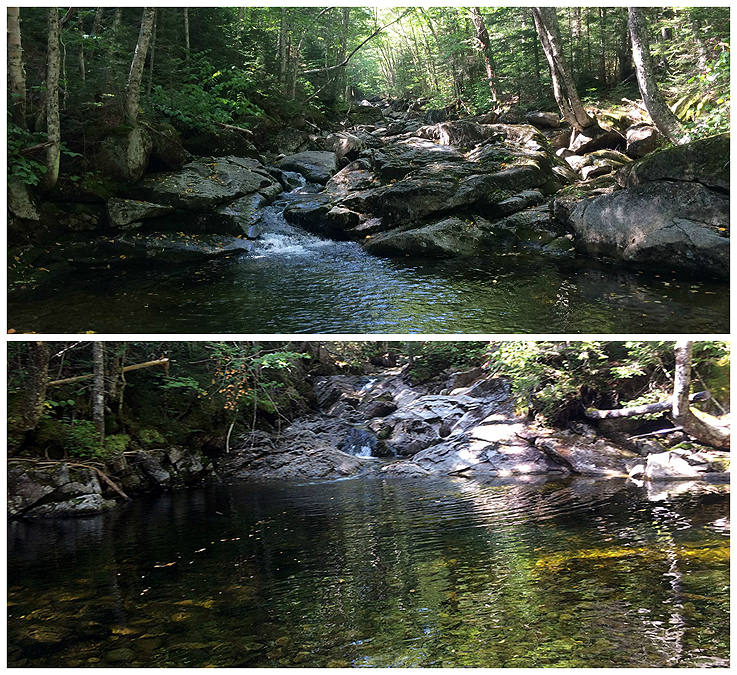 I was shocked as I never thought I'd spot a fish in these pools that head to the falls. I was thinking of jumping in since it was hot out but I knew if we did there was no way we'd feel like hiking up to the ridge and we would have bailed early and just head back to Lincoln Woods. 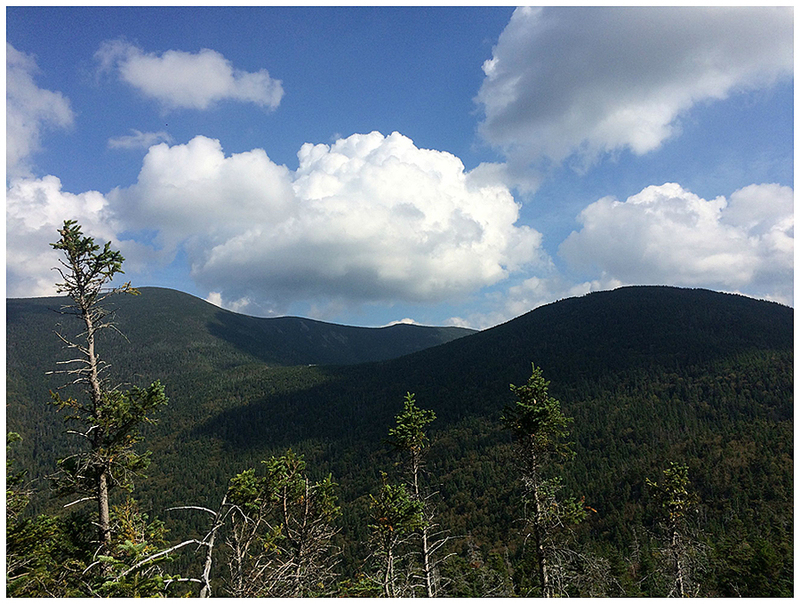 - From the end of the Lincoln Brook Trail we took a left and headed up to Garfield Ridge via the upper section of the Franconia Brook Trail. 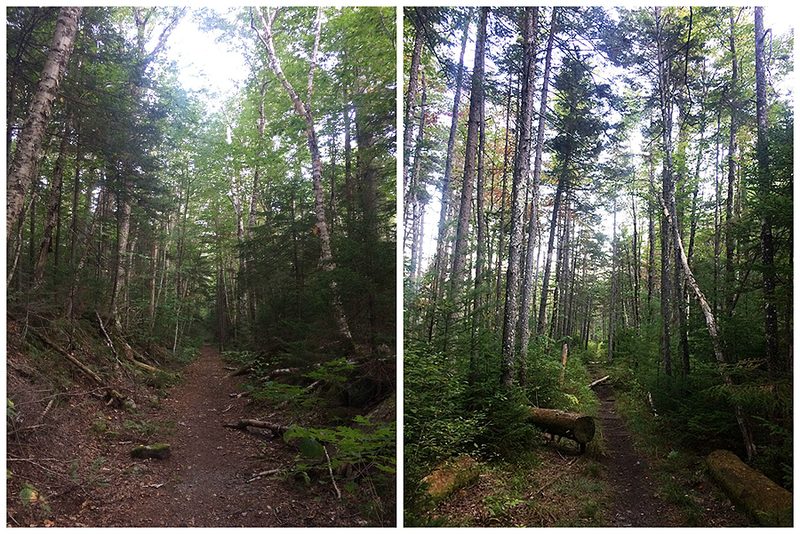 This is section of the Franconia Brook Trail is uphill, unlike the first five miles which it almost totally flat. 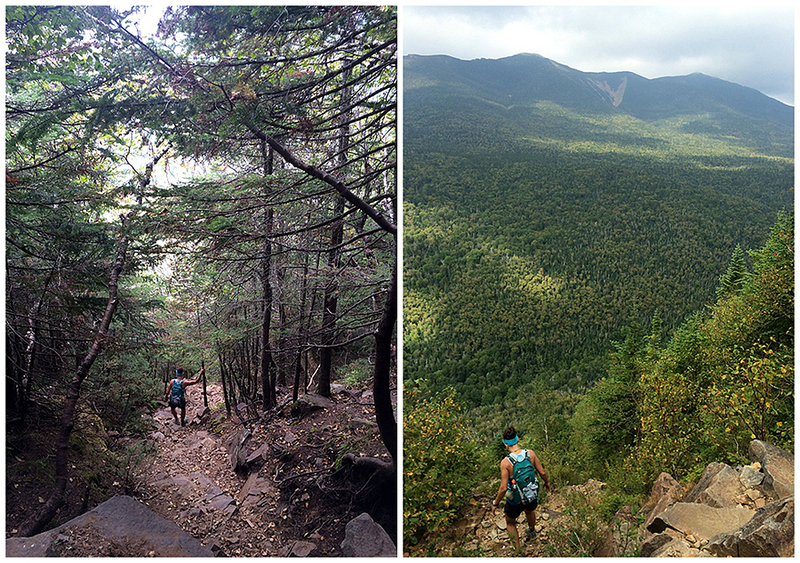 It's a pretty tame hike up to the ridge with decent to ok footing with a gradual grade. 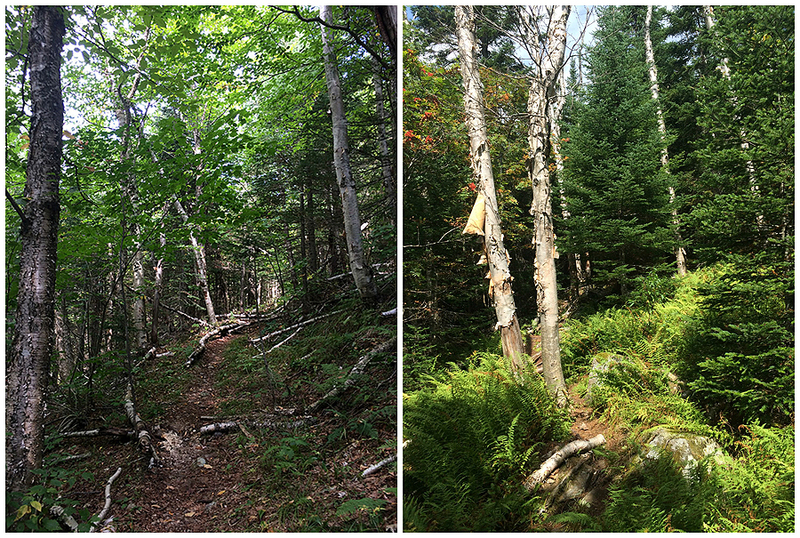 We made quick work of this section and then made decent time over the PUDs of the Garfield Ridge Trail to Galeheaf Hut. 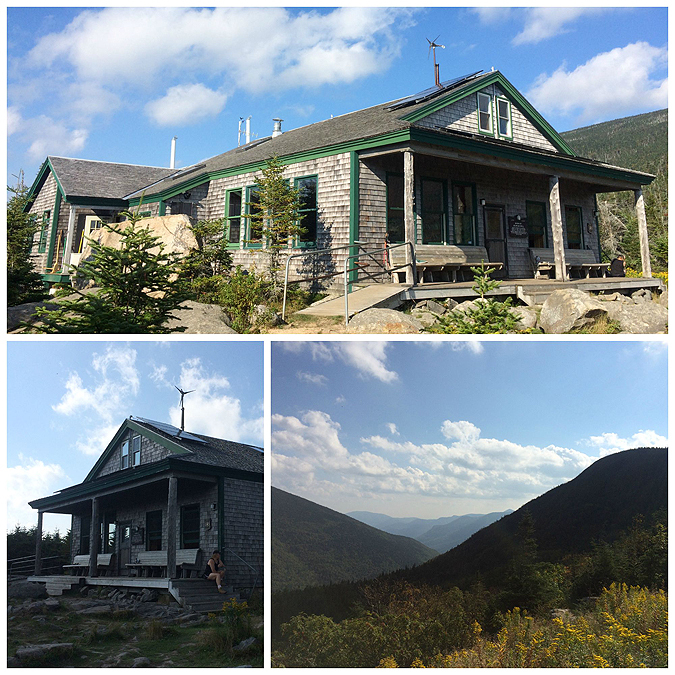 - We took a nice break at the hut before the quick up and down to our second lump of a mountain we summited on the day, Galehead, where we were rewarded with a pile of rocks in the middle of the woods, yes it's one of the least exciting summits in the White Mountains! Still, it was a fun way to 'bag' Galehead and we had a long but nice walk through the woods left back to Lincoln Woods. 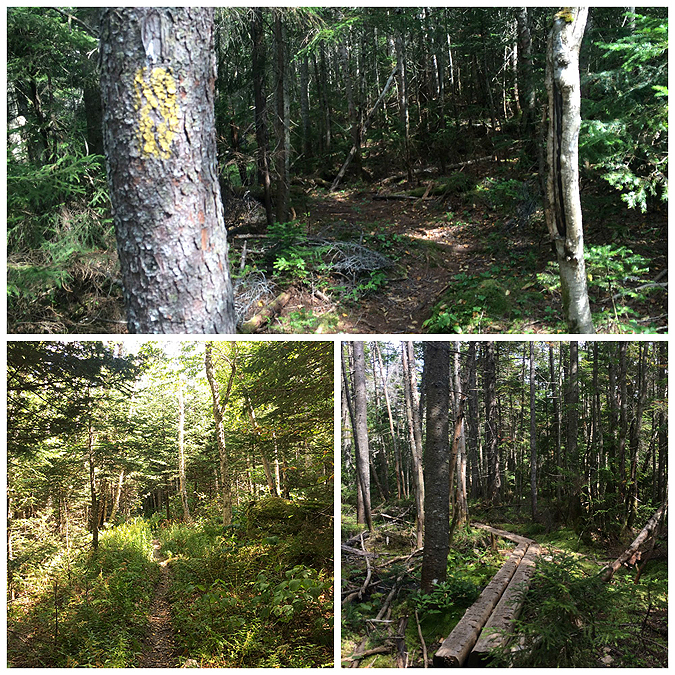 - Our route back to the car was down the Twin Brook Trail, which is steep with rocky footing for a few tenths of a mile but then becomes a real nice hike down to Thirteen Falls over easy grades and great footing. 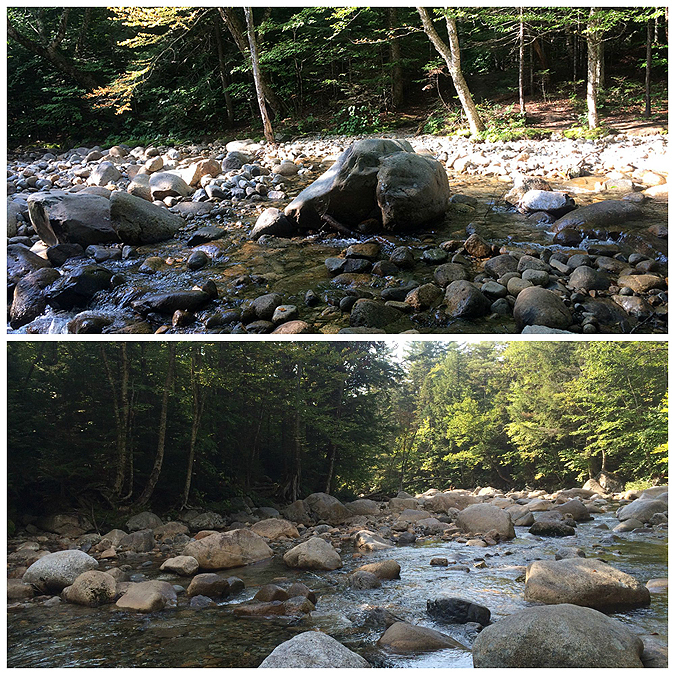 Once we hit the campsite we hiked out the Franconia Brook Trail and Lincoln woods Trail as the sun set. It was a nice hike out as darkness surrounded us and we had the last ten miles along the trails all to ourselves!